How Will Federation Against Copyright Theft Prosecute Pirates? The Federation Against Copyright Theft is going to go a little tough on people who view pirated content in their homes. Or more importantly, can the law prosecute them? More and more people are starting to stream content on the internet from devices known as set-top boxes. People use these set-top boxes at home, in the office, and in the pubs. Basically, these set-top boxes can work anywhere where there is electricity and a TV to stream the content. So of course, government organization and copyright holders groups would not people to make use of such a device. It goes against ethics and of course, the law, they say. Recently, the Federation Against Copyright Theft came out and suggested that the organization could possibly go after users who use devices such as set-top boxes at home. Of course, the Federation Against Copyright Theft is talking about set-top box users as pirates. But are they really pirates? Perhaps, the more important question is, if they are, then can someone force the law to go after them? Honestly speaking, such prosecutions are always difficult. They are also slightly more tricky than the normal cases. Under United Kingdom copyright law, the chances of the Federation Against Copyright Theft proving a user with the set-top box as a pirate or a fraudster, are from slim to none. And who can forget that there is a first time for everything. So why not start with the UK law deeming people with set-top boxes as pirates and fraudsters. Of course, that wouldn’t go down well with the public. So all parties involved need to tread carefully if at all. What Makes The Federation Against Copyright Theft So Sure About Its Position? Pirates, large scale or small scale, all are in trouble. Well, the Federation Against Copyright Theft is looking somewhere other people and commentators in the media are not. That price location is the Fraud Act of 2006. Let’s discuss that in more detail. As mentioned before, the number of people using set-top boxes to stream content from online sources has increased in the UK in the last couple of years. That indicates that the number of people selling these set-top boxes has also increased. And with an increase in vendors, more and more people are bound to buy more set-top boxes. It is a vicious cycle, for some. But that doesn’t change the fact that vendors who are issuing piracy-enabled set-top boxes are making most of the headlines in the UK. So who wants to take them on and prosecute them? Well, first up, is The English Premier League. 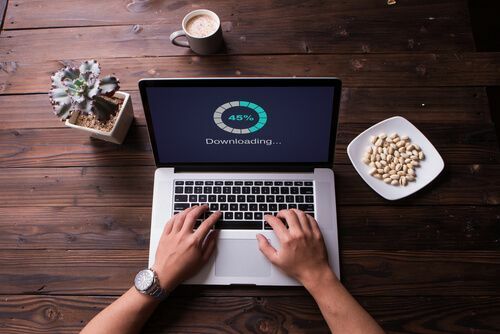 It will go after pirates and users who use piracy-enabled set-top boxes at home or any place else to view copyrighted material on the internet without paying their due charges. The English Premier League is probably the only organization who is taking the fight against set-top boxes seriously enough. It has made it clear that it will try to prosecute vendors who sell these set-top copyright-infringing boxes. And it will do so throughout the United Kingdom and not just specific location or city. The Federation Against Copyright Theft Wants to Take The Action To Another Level. In other words, the organization wants the law to go after piracy and pirate device users a bit harder this time around. A month ago, the Federation Against Copyright Theft revealed that the organization could target users who merely had these boxes for prosecution. And that it could happen in the very near future. As mentioned before, some online users by these set-top boxes and then augment them with Kodi setups. Then these users can watch copyrighted material on the internet with their set-top boxes. In turn, this results in a massive loss of revenue for legitimate industries who work hard to bring that copyrighted material on the market for everyone for else to first, buy and then see. Readers should also know that the Federation Against Copyright Theft also managed to provide all the anti-piracy services for other organizations such as The English Premier League. What’s The Problem With Going After People Who Use Set-top Boxes? The problem is simple really. You see, it is hard to track them. Because there is no way to know which user is using set-top boxes to stream pirated content and which is not. Add to that the fact that people who only use their set-top box device to stream pirated content in places such as their own homes are a pain the backside to track down. And no, online tracking doesn’t work that great either. And hence, streamers who stream content from devices such as set-top boxes pose a far greater challenge to government and anti-piracy organizations than, say, BitTorrent users. Why Are BitTorrent Users Easier to Catch? BitTorrent users are easier to track than streamers, says FACT. The operative word here is easier. It is easier to catch BitTorrent users then set-top box users. The main reason for that is investigators don’t have to put in a lot of work to track them down. Sometimes, these BitTorrent users can themselves lead government investigators to their residence’s door. Keiron Sharp, who is the chief executive of Federation Against Copyright Theft, said anti-piracy organizations could make use of some non-technical methods to open up more opportunities to find set-top box users. He also said that when his organization worked with the law enforcement agencies against another company that sold IPTV boxes and/or other illicit streaming devices and that too on a massive scale, they had records of which people they had sold the device to. Which is, of course, great if you want to catch users who stream pirated content via set-top boxes. But is it really a viable strategy? Can you really go to each set-top box seller and ask the shop for a complete record of whom they sold the device to? Even if it is possible. Moreover, he knows a lot about how set-top box dealers operate. If you really think about it, then Sharp’s comment came in the form of a suggestion. The suggestion is simple enough. Set-top box dealers have these customer lists. These customer lists contain some detailed personal information of people who bought these devices. And then access copyright content for free like that of The English Premier League’s. Using these customer lists from set-top box seller’s, anti-piracy organizations can do a lot of neat stuff. Stuff like identifying users who bought these set-top boxes from specific set-top box sellers. Moreover, they can also open up opportunities to prosecute these users. Does Prosecuting a Single Set-top Box Users Via A Customer File Make Sense? But it makes a very expensive kind of sense. What we mean to say here is that thinking of the current copyright law in the UK from a conventional point of view reveals some interesting scenarios regarding such an action. If someone wants to prosecute a set-top box (in other words Kodi) user for trying to stream copyright content on his/her own device, in his/her home, then that particular someone will have to think about a lot of things. One of those things is that such a task will require a herculean amount of effort to pull off. Moreover, such a task will also require a lot of money. And if we know one thing about legal proceedings, it is that they are expensive. No matter the duration or the scale. Add to that the fact that copyright cases are usually, or rather notoriously complicated. Moreover, any individual who has the guts and the brains to put up a spirited defense can cause some pretty big problems for the related prosecutions. Moreover, once the prosecution is able to defeat the individual, the resulting punishment is inevitably a light one. This alone would provide a bit of a deterrent for anyone trying to prosecute a user who uses a set-top box to stream illegal content in his/her home. Apparently, FACT wants tougher punishments for people caught engaging in piracy. In other words, it knows very well of all the problems in prosecuting set-top box users. And hence it has, it thinks, come up with an alternative approach. That “other approach” will involve Federation Against Copyright Theft using another legislation to deal with the prosecution and the case itself. In an interview given to BBC Radio 5 Live, Kieron Sharp told Chris Warburton (the radio show’s interviewer) said a week ago that people who used set-top boxes to stream copyrighted content in their homes were actually committing a crime and were criminal offenders. This statement, of course, is very serious. What Warburton, we think, tried to convey was that such an activity could interest the police. And streaming content via a set-top box could also attract a huge fine or even custodial sentence. Recently Sharp said that the law in Uk clearly said that people who used streaming devices to stream copyrighted content in their own homes were doing something which was illegal. In other words, using these set-top boxes and streaming copyrighted content was a crime. An EU judge also tried to clarify what had happened in recent weeks. Sharp said that another civil judge also clarified the situation with using these set-top boxes and streaming for the common people. Because piracy is a big issue not just in the UK, but also in other major regions of the world. The case that we want to mention here specifically is the BREIN v FIlmspeler EU case. 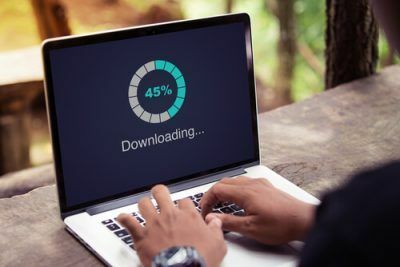 This case, partly, clearly determined that users who streamed copyrighted content from an illegal online source did not while breaching the copyright law of the country. Justice Arnold, acted as the Judge in this civil case. Justice Arnold also managed another case that involved the UK Premier League blocking. There too, he reached the exact same conclusion. Therefore, it is quite clear that using streaming set-top boxes to stream pirated content in the European Union is illegal. It is not only illegal but also a form of civil wrong. According to anti-piracy groups and advocates, people who use these devices to stream copyrighted content should get sued. With all that said, it is still not clear, or at least not immediately, how does this action turn into something that is a criminal offense. Of course, if we think it is not clear, then a lot of other people would also think it is not clear. And hence Warburton pressed Kieron Sharp on the issue again. Warburton asked shape about the bit of the copyright law that a user broke when the user streamed content. He also asked how did the user actually committed a criminal act by streaming copyrighted content. The Federation Against Copyright Theft said that the UK copyright law had various pieces of legislation to deal with such a situation. He said that the one his organization looked at the most included the Fraud Act. Under the Fraud Act, a user commits a fraud by streaming football matches via a television set by either watching the match at home and/or not paying for the legitimate license to do so. We think that at this juncture most of the mysteries surrounding the issue start to come together. And slot neatly into place. Without going into too many details, we have all witnessed several, rather high-profile, cases that have involved piracy cases. And in most of them, the Federation Against Copyright Theft has tried to not prosecute under UK copyright law. What we do know is that every time it has prosecuted, it has done so by opting for criminal offenses which come under the Fraud Act 2006. We don’t know the whole reason. But part of the reason is that the Fraud Act 2006 allowed for longer jail sentences at that given time. In fact, Fraud Act 2006 made available prison sentences up to 10 years. Which is of course, a lot of years. However, the Federation Against Copyright Theft lawyers showed that they could make prosecutions done under the Fraud Act a bit easier. A bit easier for who? A bit easier for the jury of course. The Federation Against Copyright Theft lawyers said that jury could understand the case much better under the Fraud Act rather than the current laws under UK copyright law. And it has given all the indications that it will use that experience to move forward with its plans. In fact, now it becomes rather straightforward to see why Federation Against Copyright Theft would want to take this route. If FACT takes the abovementioned route in the Kodi set-top boxes case, then everybody will find the fraud legislation much easier to understand and to digest. 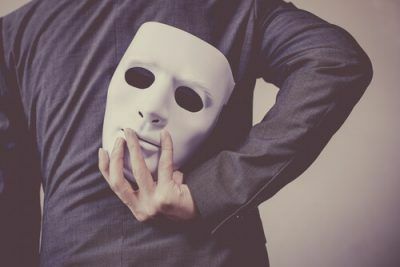 The Fraud Act clearly reads that a person is guilty of a given offense if he or she has in his or her possession or under his or her control any article for use in the course of or in connection with any fraud. Of course, there is more to the Fraud case than what we have mentioned in this post. Stay tuned to Security Gladiators to keep updated on this story.